The defectors said they were "suffocated out of the party through deliberate act of impunity which led to the defeat of the party in 2015." 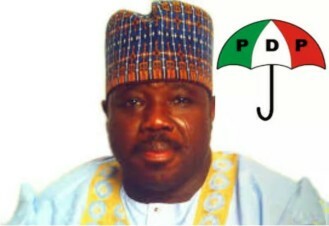 Thousands of members of the Peoples Democratic Party (PDP) and loyalists to a former national chairman of Peoples Democratic Party, Ali Modu Sheriff, have defected to the All Progressives Congress (APC). It was gathered that more than 14,000 of the defectors were led out of the opposition party by Dr. Cairo Ojougboh, a former National Vice Chairman of the PDP. Ojougboh said they were "suffocated out of the party through deliberate act of impunity which led to the defeat of the party in 2015." 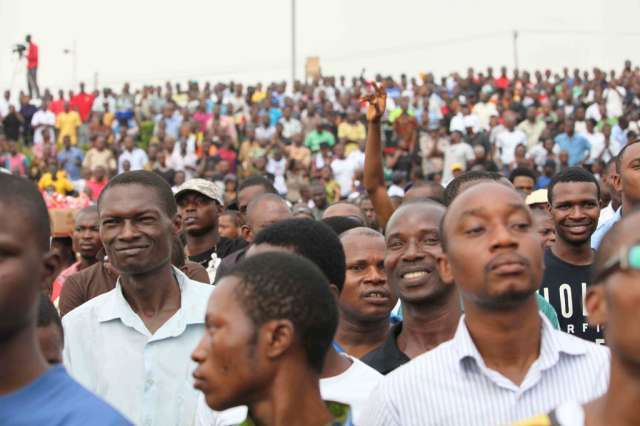 The defectors were reportedly received by top members of the APC in Agbor, Delta State. National Vice Chairman of the ruling party, Mr. Hilliard Eta; Delta State leader of the party, Olorogun O’tega Emerhor; Minister of State for Petroleum, Dr. Ibe Kachukwu; and the state chairman of the party, Prophet Jones Erue, were among those who received them. Ojougboh, who spoke during the ceremony, said that the Ahmed Makarfi-led PDP did not reckon with them since the Supreme Court sacked the Sheriff faction of the party. He said, "We asked the national body to open up the party after the unfortunate court judgment, the next thing we heard was that they were going to grant us amnesty, as if we are criminals. "When Raymond Dokpesi was nominated as member of the committee for the non-elective convention, his nomination was rejected because they said they spent money on the court judgment. "As if that was not enough, during the Anambra State governorship primary election, Jerry Gana was made chairman of a three-man committee to midwife a transparent election, but governors Ayo Fayose of Ekiti State and Nyesom Wike of Rivers State rejected it and came up with another committee that went to Anambra and handed everything to Peter Obi. "Back here in Delta, we asked the state governor, Ifeanyi Okowa, to remove impunity, but what we continue to see here is a … family government. "We now said it is time to look for people of like minds, people of progressive ideology to meet with, because I know most of you have ambitions to pursue. "If we do not make a decision to belong to the progressives, most of you will miss out." Earlier, the APC had announced that it would commence reconciliation visits to the state chapters of the party in the South-South geopolitical zones on Sunday. September 17. The party said the visit is geared towards strengthening the party for victory in the 2019 general elections in the region.